^ 哈特（上）将此描述为在蒙斯特对新教徒进行种族灭绝。瑞恩（同上）引用Lionel Curtis，劳合·乔治的政治顾问的话在1921年上半年写道，“南方的新教徒抱怨的并不是基于教派主义的迫害。如果新教徒农民被谋杀，那并不是由于他们的信仰，而是因为他们有保皇派的嫌疑。这种区别很细微，但很真实。”（Protestants in the south do not complain of persecution on sectarian grounds. If Protestant farmers are murdered, it is not by reason of their religion, but rather because they are under suspicion as Loyalist. The distinction is fine, but a real one.）然而在1911至1926年间，自由邦的领土上（不多的）新教徒人口迁出了34%. ^ (Hopkinson, Irish War of Independence pp. 201–202). 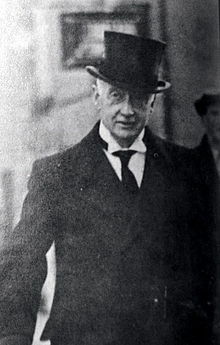 ^ Hopkinson lists 200 killed in southern Ireland 1919–21,Richard English, Armed Struggle, a History of the IRA, gives a total of 557 killed in Northern Ireland in 1920–1922 pp. 39–40. ^ M.E. Collins, Ireland 1866-1966, p. 265. ^ Hopkinson, Irish War of Independence, p. 204. ^ Bartlett, Military History of Ireland, p. 406. ^ Michael Hopkinson, Green Aganist Green, the Irish Civil War, pp. 79-83. ^ Hopkinson, Green Against Green, pp. 83-87. ^ Richard English, Armed Struggle, a History of the IRA, pp. 39-40. 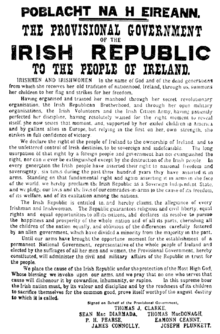 ^ Hopkinson, Irish War of Independence, pp. 201-202. ^ W. Churchill, The Aftermath (Thornton 1929) p297.